As part of our public engagement in research programme British Antarctic Survey (BAS) welcomes journalists to its offices and laboratories in Cambridge. In addition, we consider requests from journalists and broadcasters to visit its Antarctic or Arctic research stations during summer field seasons. Places are limited to one or two crews per year and the selection process is competitive. Deadline for written submissions for Antarctic visits is 1 May. Contact the BAS Press Office to discuss. 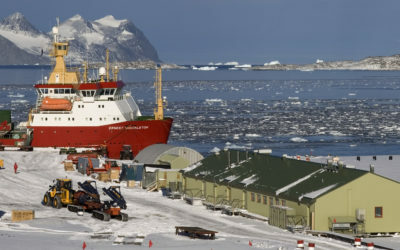 Visits usually last a minimum of two weeks at the Rothera Research Station, but can be considerably longer if the visit incorporates time on ships or visits to Signy, Bird Island or Halley stations. Arctic media visits to Ny-Ålesund are by arrangement with BAS and the other nations operating there. Contact the BAS Press Office for details. Planning Antarctic operations is complex; matching scientific requirements with limited logistics capabilities takes many months. Media bids are considered during the planning process and early submission of proposals is necessary. Some bids may be held over until future field seasons. Applicants should be well respected in their field and have proven experience and skills to deliver the proposed product.  Journalists must supply evidence from editors of a firm commitment to publish or broadcast their proposed work from a publication or media outlet, on company letterhead. Requests will be reviewed by the BAS Executive Team in June/July. Journalists are responsible for developing their own reporting plan in conjunction with the BAS Communications Team Press Office. Journalists will not be able to pre-empt the publication of scientific papers in learned journals. Journalists who are selected are required to visit BAS for substantial background briefings before travelling to Antarctica. Reporters pay for their travel from UK to the Falkland Islands or Chile (arranged through BAS). A fee is payable to the Survey for the loan of cold weather clothing. BAS provides accommodation, transportation and food in Antarctica, without cost to journalists. In addition, reporters visit BAS at their own expense for pre-trip planning. Journalists will be required to undergo a comprehensive medical examination by their own doctor and at their own expense. On completion of the project media visitors will be required to deposit copies of the resulting material with BAS for its own internal communication purposes. Interested journalists should call the BAS Press Office as soon as possible to express initial interest. They should then outline their targeted proposal in a short, concise letter, preferably no longer than two pages. news or documentary footage and take photographs. Please read the policy document here. Contact the BAS Press Office for more information.